Fitted with a correct polarity. Received with good delivery as usual. 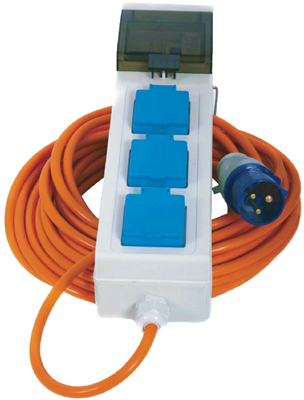 Item is very good and complies with all electrical hook up requirements. tested for trip time etc and it works very well. Very pleased with purchase. Very sturdy & was a great bonus whilst camping this week. Happy with choice and would definitely recommend.